I know other parts of the country are experiencing some extremely cold weather, like in the negatives, with snow and ice and all that really fun stuff that we all loooove. So what I’m about to say is probably going to piss you guys off because I’m in Florida and it’s been in the low 60’s and I AM FREEZING. I’m sitting here in my Northface jacket, Uggs and a huge scarf. In Florida. Yes. This is happening. I don’t know how you guys handle the snow. I’ve only lived here for two and a half years and I’ve lost any and all toleration I had for cold weather. You’d think this Jersey girl would still be able to stand it even just a little bit, but nope…I’m done with the cold! I would much rather be lounging on the beach in 85 degree weather with the sun beating down on me. So I made a fruity, tropical smoothie to at least make me feel like that’s where I am. But then I got really cold after drinking it and had to put on about 3 layers, so I no longer felt like I was somewhere warm and tropical. Ugh. 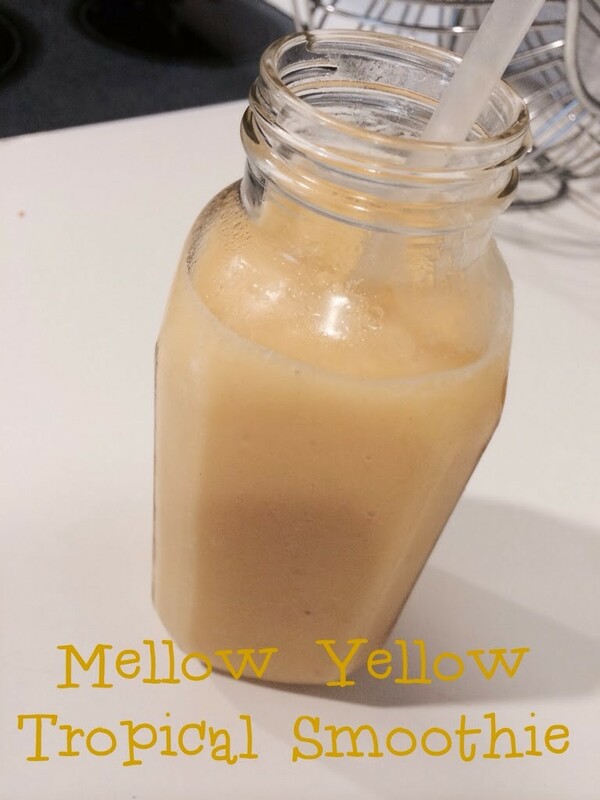 I’m calling this the Mellow Yellow Tropical Smoothie because every ingredient is yellow. And when you’re lying on the beach, you are totally mellowed out. Not shivering and worrying about losing all feeling in your fingers and toes. This has quickly become my new favorite smoothie. I’ve had it for breakfast 3 days in a row and I’m not even tired of it yet. I think we’re ALL freezing this winter! 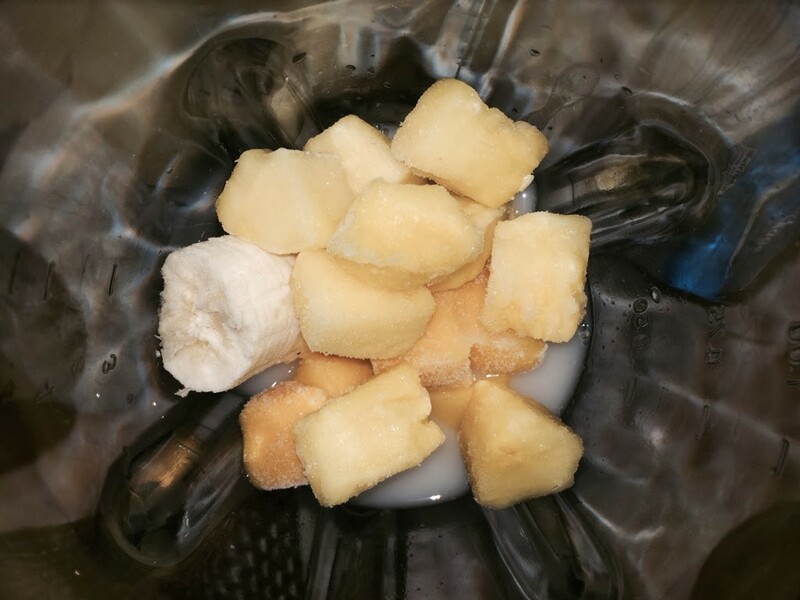 I love how you’ve brought a little sunshine to your day with this yummy smoothie! I don’t like talking about our weather here in SoCal when ppl are going through such a brutal winter – but we’re wimps and “freezing” when it’s only 60! Close your eyes and drink this tropical smoothie…and think summer!